Kristine Taylor lives in rural Portola Valley, California, in the same house where she grew up. As a child she was passionate about animals and art. Her mother, an oil painter, encouraged her to develop her artistic talents, and her father, an engineer, taught her to use the many tools in his home woodshop and foundry. Kristine graduated from Stanford University in 1973 with a B.A. degree in fine art, and spent several years doing machine work for a scale model/prototyping company. While raising her family, she focused on graphic design as a career, and painted with oils and watercolor for her own enjoyment. 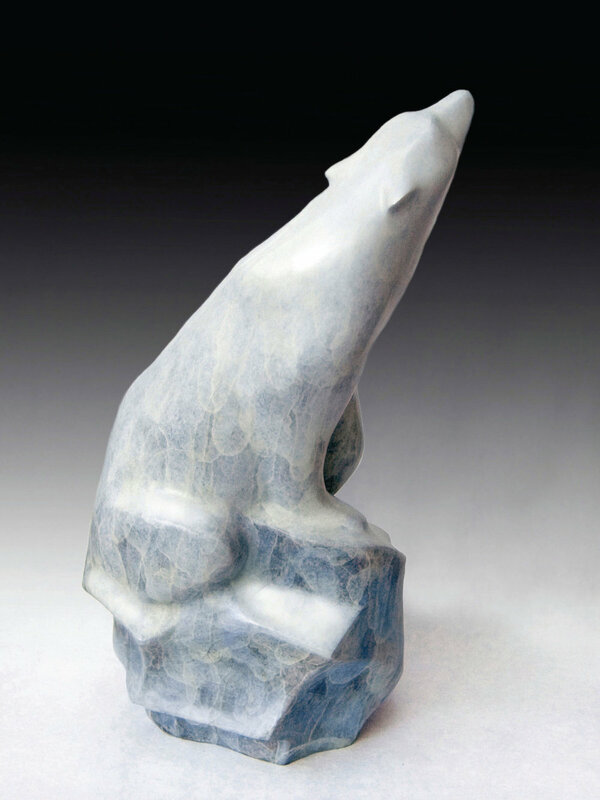 In 2007, Kristine turned her focus to sculpture, which she found to be the perfect blend of her love of tools and the creative process. At first, she cast her pieces in epoxy resin and hand painted the finish, but soon found that resin was limiting the size of the works she wanted to produce. 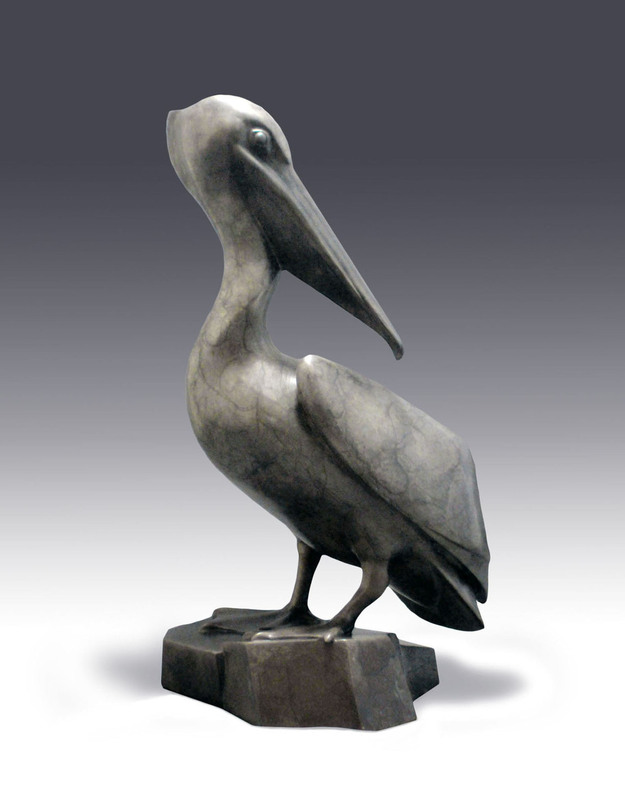 In 2009, she switched to bronze as the medium for her sculptures and now works with the artisans at a world class art foundry in Berkeley, California. 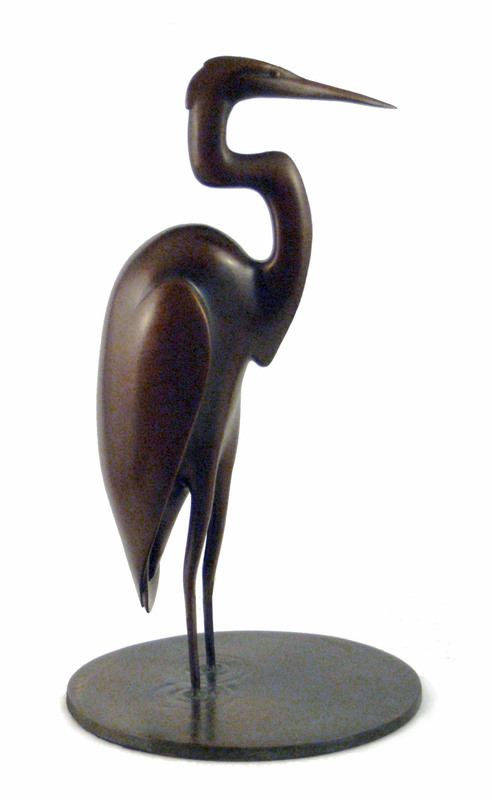 Her knowledge of animals is evident in her work, not only in the proportions of the subject but also in the personality revealed in each piece. Outside of studio work, Kristine works with local high school students who participate in an annual robotics competition. Teaching the next generation how to use tools and machinery, do welding, engineering and design is her way of sharing the skills that have brought her joy and a meaningful career. Animals have always fascinated me, especially in the way their behavior and movement reveals their character. Their pose can speak volumes about their personality. It is this silent communication that I capture in my work, using a simplified and refined style, rather than representational, which lets the animal tell its own story. Inspiration for my pieces comes in many forms. Sometimes, the wild birds and animals that live around my rural home captivate me, or it is a photograph that gets my attention. Once inspired, I research the animal to understand its behavior and how that behavior reveals the essence of the animal. Ideally, I try to study a live subject, if one is accessible, but often I use photographs and sketches. I look for a pose or a subtle gesture that captures the animal’s beauty, grace, and even its plight. 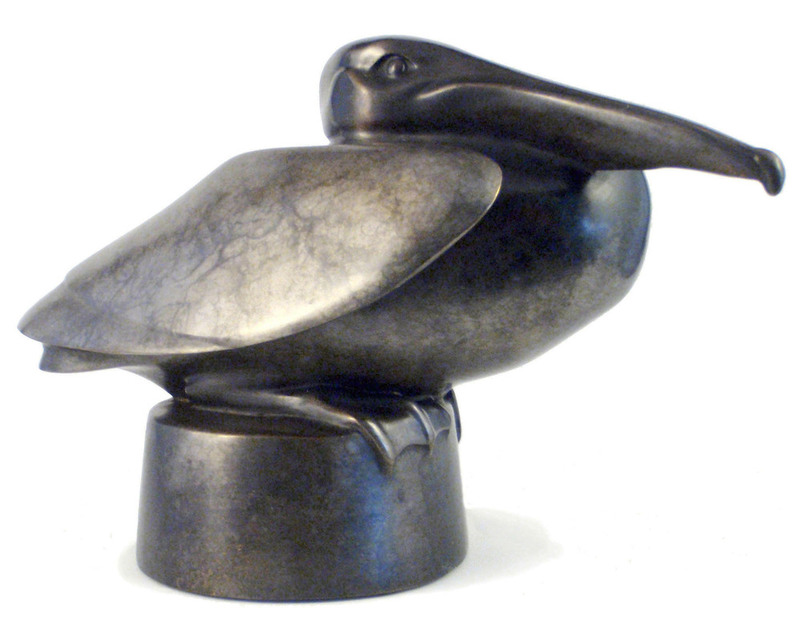 I enjoy getting to know the animal at an even deeper level through the sculpting process. 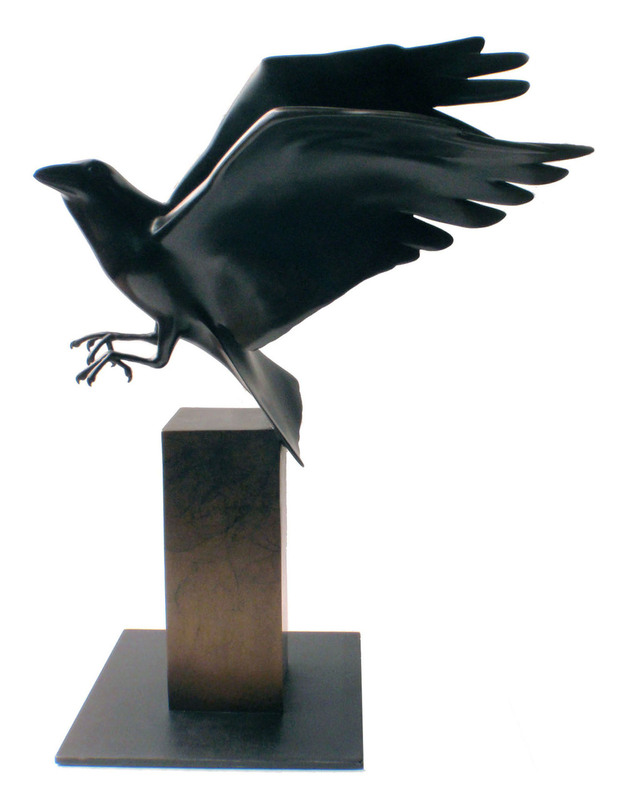 My sculptures are cast in bronze, in limited editions of 15. For the modeling of the original “master” form, I use epoxy clay, a self-hardening clay that can be carved, machined, sanded, and polished. As I work and become more familiar with the animal, I may change the original form to further enhance the pose. Some pieces just seem to know who they are and quickly take shape. Others I struggle with and end up putting it on a shelf for awhile. We may stare at each other for a long time, but then one day, we are ready to carry on.